Don't miss it, my friend! 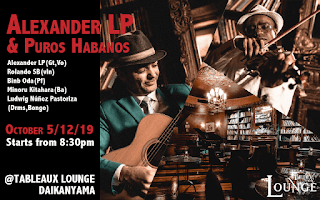 Is going to be an amazing Cigar night in Tableauxlounge in Daikanyama, Tokyo. Open Door from 7:00 pm. In music, all feelings return to their pure state and the world is nothing but the music made the reality.